This mixed fruits raita or sweet raita is one of my favorite dish on my fasting days. This is simple yet delicious recipe. You can make this as a side dish along with main course or as a dessert. This is very filling and will keep you full for longer. I love to add various fruits like apple, orange, banana, grapes, pomegranate, pears. You may add some other fruits also. To make it rich add some finely chopped or powdered dry fruits. If you are looking for some other raita recipes, read boondi raita, bathua raita, lauki raita, carrots raita on blog. How to make mixed fruits raita? I have taken thick beaten curd and chilled milk in equal quantity to make this sweet raita. To make this sweet add sugar or powdered sugar or bhura as per your taste. Add chopped fruits and a pinch of black pepper powder. Sweet raita is a mixed fruit raita. Make this for your fasting recipe. 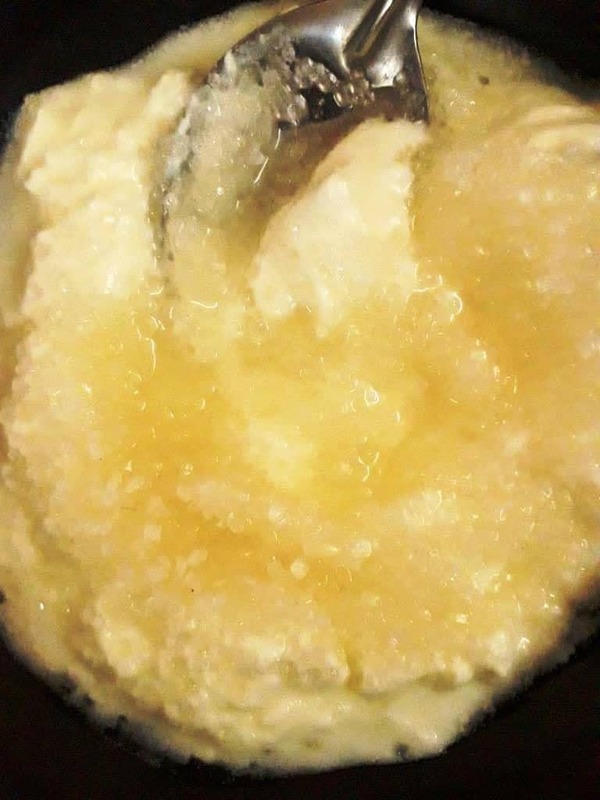 Add sugar to curd and mix well. Let it rest for 5 minutes so that sugar will get absorbed completely. Add chilled milk and mix well. Then add all chopped fruits and black pepper powder. Give it a nice stir and sweet raita is ready. I have taken grapes, banana, apple, orange, pear, pomegranate. You can add few other fruits of your choice as well. In case you are not making for fasting recipe, add a pinch of chat masala to the raita. Read other vrat recipes on blog: Kuttu Chips, Kuttu Aloo Tikki, Aloo Jeera, Aloo Tomato, Sama Chawal Khichdi, Sama Chawal Dosa, Sabudana Khichdi, Sabudana Vada. In sweet dish try my vrat special Sabudana Kheer, Aloo Halwa, Paneer Kheer, Fruits Raita, Singhade ki Burfi, Lauki Launj (halwa).